Following efforts seeking solutions to build low cost housing for low income people, HCMC Real Estate Association yesterday hosted a forum themed “Developing low cost social and commercial housing” attended by secretary of the city Party Committee Dinh La Thang. According to real estate businesses, administrative procedures must be shortened to reduce social housing price as the currently complicated and time consuming process takes investors two years to complete procedures and start construction. Secretary Dinh La Thang proposed deputy chairman of the city People’s Committee Le Van Khoa to task the Department of Construction to carry out the one-door policy. The agency will receive and solve all procedures relating to construction including social housing within six months so that investors can quickly implement their projects. At the meeting, many businesses said that HCMC should not develop apartments at the price of VND100 million (US$4,430) like the neighboring province of Binh Duong because of different characteristics and conditions between the two localities. 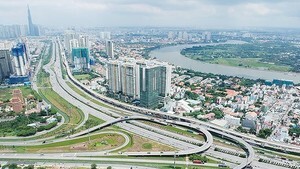 Sharing the same view, director of the Department of Construction Tran Trong Tuan said that HCMC will be able to build apartments at the price of VND100 million if investment costs do not include site clearance, infrastructure building and the area of an apartment does not exceed 25 square meters. This product is not encouraged to develop on a large scale but in industrial parks and export processing zones for workers. Surveys by the department show that apartments priced less than VND1 billion, swinging from VND350-750 million are suitable with low income people in HCMC. They can pay VND3.7 million a month on hire-purchase. Another survey in October by the HCMC Institute for Development Studies showed, apartments with the area of 40-60 square meters each are in the most demand now. Secretary Dinh La Thang affirmed that the city sides with businesses in building low cost housing for low income citizens. 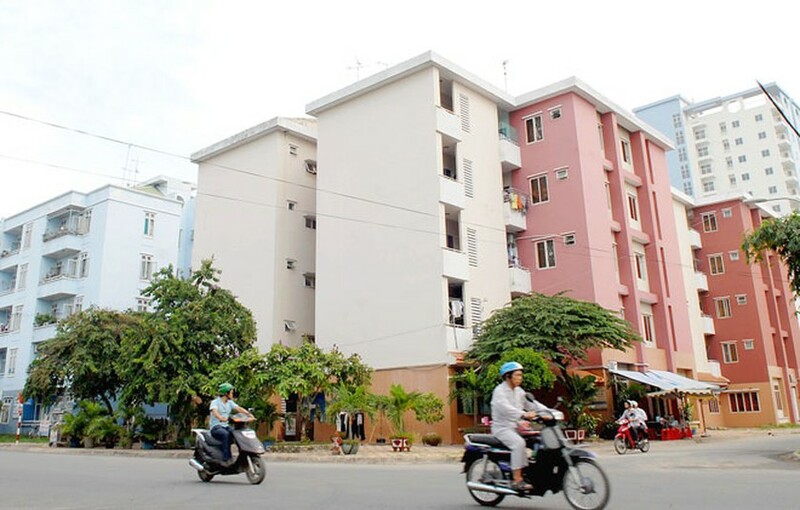 HCMC should learn good creative things in the social housing model of Binh Duong but imitate the province’s experiences. Things the city should learn are the spirit and determination of the province's leaders to implement their social housing programs, added Thang. Mr. Thang stressed that HCMC always listens to businesses to improve social housing policies. Low cost housing does not mean small area, it should be obtained from the application of advanced technologies and price cut of building materials. A too small apartment will be stuffy affecting the living quality of citizens, he said, promoting authorized agencies to call on businesses to supply construction materials for social housing projects with lower prices. If all enterprises join hands in the attempt, it will not be difficult to reduce social housing prices, concluded Thang.